All transactions are safe and secure with a reliable history in online purchasing behind each of our associates. Buy the Harry Potter Toys and Collectibles - Wands, Brooms, Glasses, Sorting Hats to own Harry Potter clothing and merchandise. For wizards and witches, getting a driver's license when they turn sixteen isn't nearly as big of a milestone in their youth as learning to ride on their own broomstick. Get your own Harry Potter broom to show everyone that you're maturing as a wizard. Add either collectible or toy Harry Potter wands to help complete your maturation. Other fun toys and accessories include sorting hats, glasses, Harry Potter ties, Hogwarts banners and the Quidditch Golden Snitch. Recreate the movie's scenes with HP Legos and action figures. 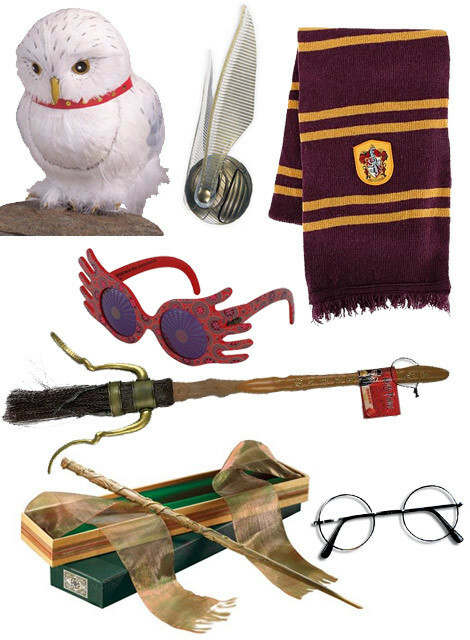 In addition to the Harry Potter Toys and Collectibles - Wands, Brooms, Glasses, Sorting Hats above, browse the Harry Potter Clothing Gallery for more apparel like men's and women's clothes, kids shirts or hoodies.